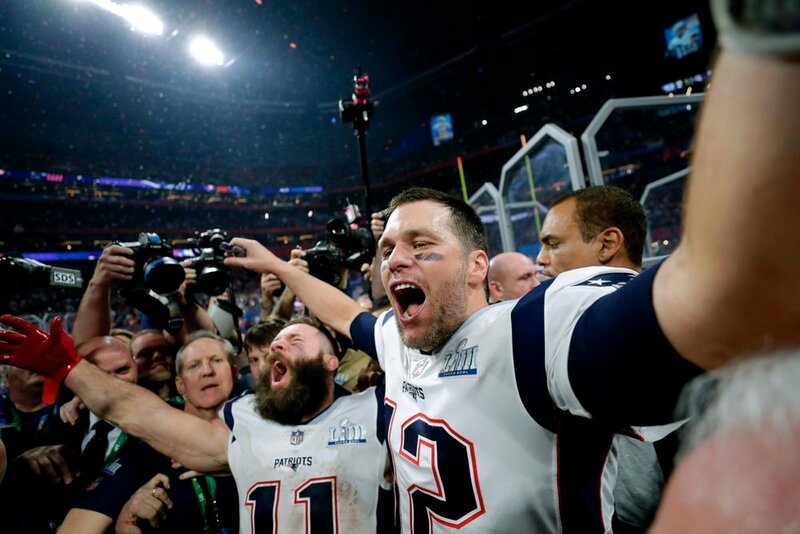 ATLANTA – The New England Patriots’ 13-3 victory over the Los Angeles Rams in Super Bowl LIII on Sunday was a record-breaking night, but it won’t go down in history as a very memorable one. Among the Super Bowl records set: fewest points by both teams (16), fewest points by winning team (13), most consecutive drives ending with a punt (8 by the Rams) and longest punt (65 yards). The story of this game, however, wasn’t defined by what did happen, but what didn’t. The defense-dominated game started off slow, with the Patriots settling for two field goal attempts for a 3-0 lead going into the half. Photo courtesy of David J. Phillip, AP. Maroon 5’s halftime show offered fans no relief: from a shirtless Adam Levine to Big Boi’s brief appearance to Spongebob Squarepants’ cameo, fans took to social media to express their disappointment in what used to be one of the biggest nights in music. When the Rams finally got some points on the board in the third quarter, Greg Zuerlein kicked a 53-yard field goal, falling just one yard short of the longest ever in a Super Bowl. Though the Patriots found some scoring opportunities, they couldn’t close out until the fourth quarter. Pats rookie Sony Michel finally broke through the end zone with seven minutes left in regulation, scoring the game-winning touchdown.